"Digital literacy must be in the medical curriculum globally!" Social media is changing how medicine is practiced and healthcare is delivered. Patients, doctors, communication or even time management, everything is changing, except one thing: medical education. That is why I launched a course at the University of Debrecen, Medical and Health Science Center in 2008 in order to help medical and public health students learn more about social media. Now, after several semesters, the course currently running at Semmelweis Medical School, Budapest, developed a lot based on the feedback hundreds of students gave through online questionnaires and I still teach students about the basics of social media from medical blogging, Twitter, Facebook to searching properly and many other topics. After I presented the course at Stanford University at the Medicine 2.0 Congress in November, 2011, I received an e-mail from a physician from the United Kingdom asking me where Debrecen is located because he would like to travel to Hungary every week just to attend the course. I considered that e-mail a sign to launch a global format. I believe the attitude of future doctors and also their knowledge about online issues can significantly change if practical examples and useful suggestions are presented in an exciting way. And now this course, under the name The Social MEDia Course, goes global as the online format with flash Prezis and gamification was launched on the 21st of March, 2012. I hope you will have fun while watching the presentations, taking the tests, collecting badges and sharing each step of your success with your friends and colleagues! 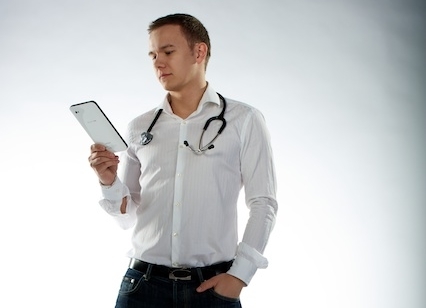 Let's revolutionize medical education together!